The Succulent Garden is located along the back trail, directly across from the Mullen Asian Garden. This garden contains hardy Cacti, Agaves, Aloes, Sedums, and other plants that can tolerate arid conditions. 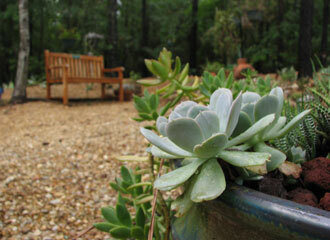 In addition, a number of tender succulents can be seen in containers during the warmer months.